All new Hyundai i 30 Launched in Frankfurt auto show 2011 with new looks and nice features. Designed and engineered at the Hyundai Motor Europe Technical Centre in Rüsselsheim, Germany, the new-generation i30 will be making its world debut at this year’s prestigious Frankfurt Motor Show. The original model, which was launched back in July 2007 went on to increase sales in Europe year after year, achieving total sales of more than 350,000 units up to mid-2011. 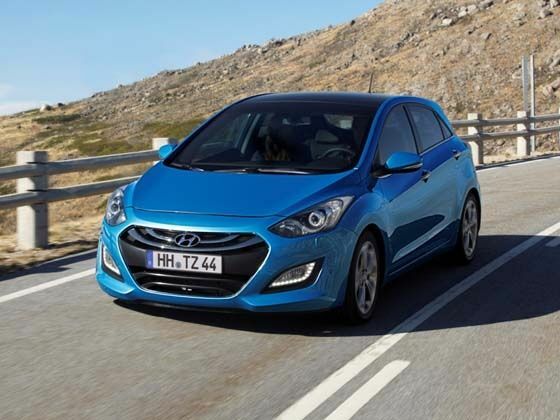 Just like its passing namesake, the new i30 will target young and progressive buyers, who expect more than just good looks from their family hatches. The successful implementation of Hyundai’s new ‘fluidic sculpture’ design DNA, the new i30 will once again dinstinguish itself with looks and lines that deserve a second look many times over. Being the first Hyundai car to receive five stars from Euro NCAP, the car maker obviously expects the new-generation i30 carry forward the same success that the original model enjoyed, and the inclusion of its award-winning Five Year Triple Care package for European customers, will be a valuable point of differentiation for the new-generation i30. The best feature of that car is auto look. My next car will be definitely newly launched Hyundai i30. Great post! !looking very awesome..all the stuff are too good..thanks for sharing..
nice car pics and also nice your blog,and i know about this car its have many features. Really a great information,thanks for sharing. Wonderful post, it is really informative in my opinion keep writing and sharing houses for sale in toronto your amazing thoughts. You always write good and very puposful and i really feel good after reading your amazing toronto condo post. Ahha wahat an article good work man. I really appriacte your work and knowledge toronto homes thanks for sharing. compliments for you, i really appriciate your efforts keep sharing such knowledgeable toronto realtor posts. Hyundai i30 is definitely a stunning car. It will certainly attract youngsters. I hope it will have excellent performance too. Good effort by your this impressive blog stuff. I have read also your all categories also, its so grateful. Nice ! I like Hyundai car so much. And i love the latest version of it. Murder 3 is one of the most awaited movies of 2013. The first 2 installments of the franchise featuring Emraan Hashmi have been blockbusters. Murder 3 has Randeep Hooda in the lead with Aditi Rao Hydari and Sara Loren as the heroines. Tollyview.com presents the Song Trailer of "Hum Jee Lenge" from Murder 3 releasing on February 15th, 2013.